As I sit back and wait for The Walking Dead premiere, I am feeling great about the week ahead. This weekend, I took my daughters to the NASA open house event to celebrate their centennial year of operation. We live in Hampton, now known as the place where the events of Hidden Figures took place and it was incredible to walk on the same grounds where Katherine Johnson quietly made history. My oldest daughter is 8 and the Hidden Figures book/movie have had a profound impact in her at any early age. She now wants to be an aerospace engineer and I want to do what I can to help build and support her life vision. She was in awe of all the wind tunnels and computers. It gave me joy to see the wonder in her eyes. After a few hours at NASA we made our way to our local comic convention. I managed to see a con friend Stephanie and I made my way out of the vendor room without doing too much damage. Stephanie is the brains behind Red Fish Rue Fish, a company that makes metal bracelets, pins, iron-ons, and much more. 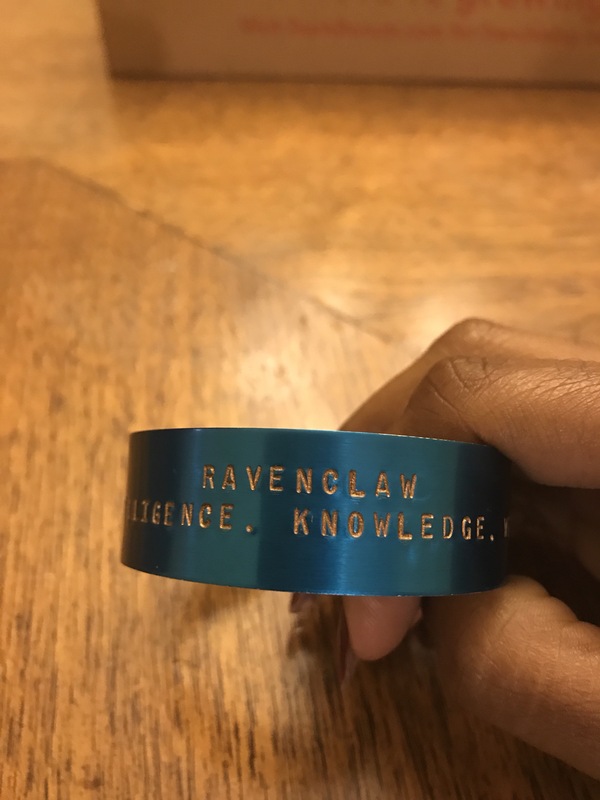 I bought my three year old a bookmark and myself this cool Ravenclaw bracelet. I couldn’t get the word “wit” into the photo but Potterheads know how we roll. My mom came to my house today and we took the kids to the pumpkin patch. It was nice to get out in a field with a wagon and shears while we searched for the perfect pumpkins. I felt a sense of calm in the middle of no where. And, to cap off a great weekend, I am overjoyed about the latest Doctor Who news!! 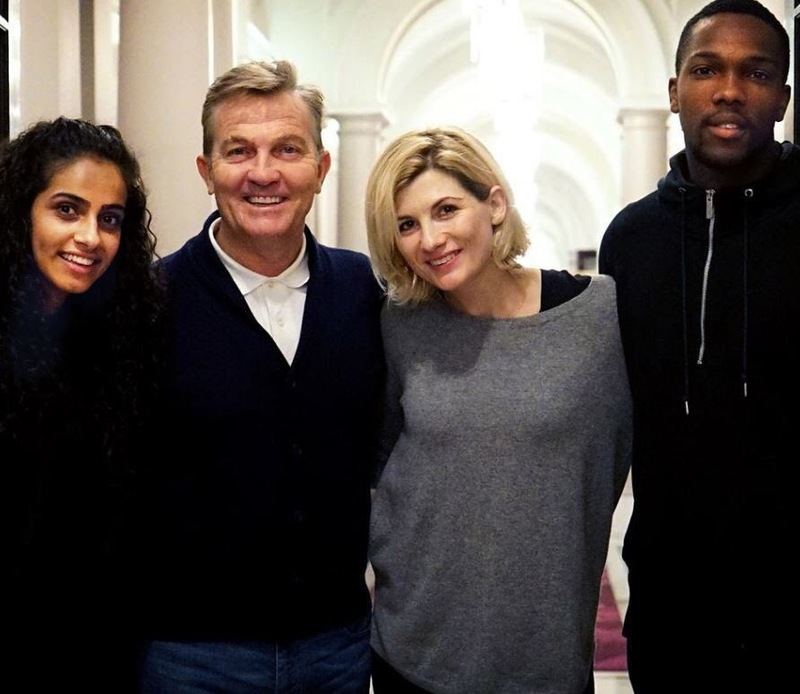 I am thrilled about Jodie Whittaker as the first woman Doctor, even if I don’t see it as a “representation win.” BUT I think I’m even more excited to see a Black male AND a woman of color (Mandip Gill) as her companions! I haven’t had time to formulate my full thoughts and hopes for them, but I am hype! Look at how wonderful the TARDIS will be with more diversity! Thank you Martha Jones and Bill Potts for paving the way. Do you love Doctor Who? How do you feel about the companion announcement? Let me know how your weekend went and what you want to happen this week. Don’t forget about Mickey Smith, he was a trail blazer himself. Mickey Smith is the character name, the actor is Noel Clarke.